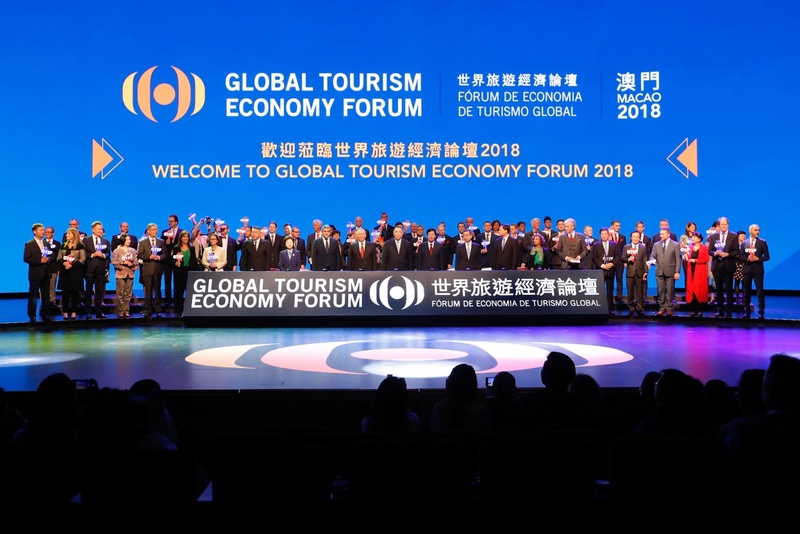 The Global Tourism Economy Forum • Macao 2018 (“GTEF” or “the Forum”) was unveiled today (23 October) with an opening ceremony at MGM Cotai in Macao. 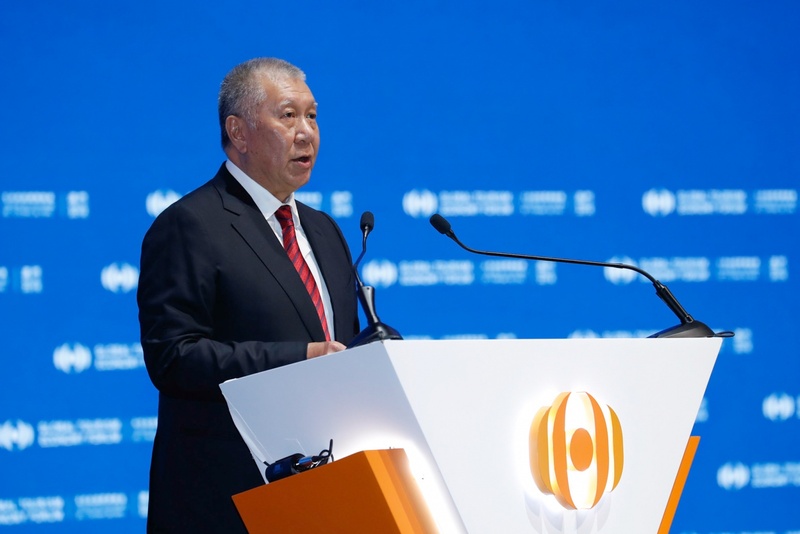 Under the theme of “Strategic Partnership in a New Era, Rising Momentum for a Shared Future”, this edition of GTEF features the European Union (“EU”) as its Partner Region and Guangdong as its Featured Partner Chinese Province, and leads a series of profound dialogues on the new momentum of strategic collaboration between EU and China with a special focus on cooperation across the Guangdong-Hong Kong-Macao Greater Bay Area. 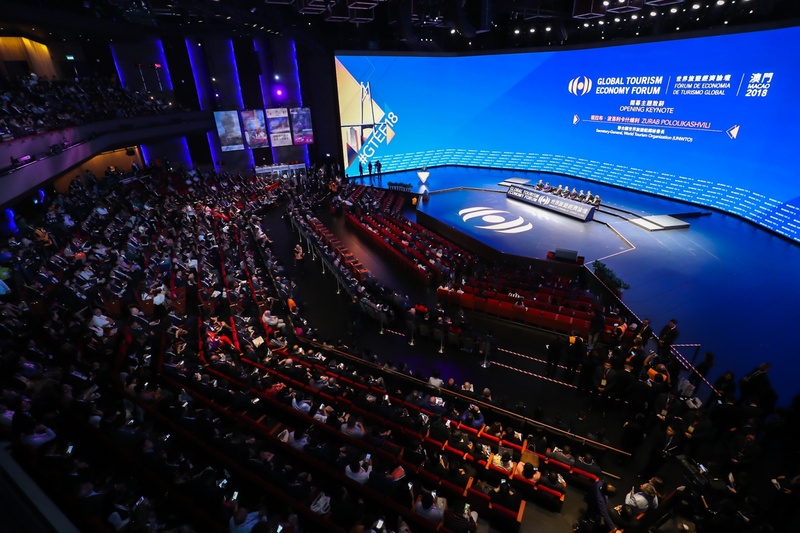 Over 1,500 ministerial officials of tourism and related fields, industry leaders, experts, scholars and participants from different countries and regions across the globe, including delegations from the 28 member states of the EU and Guangdong Province, convene in Macao for this edition of GTEF. Over 120 journalists from international and local media are here to cover the two-day event. 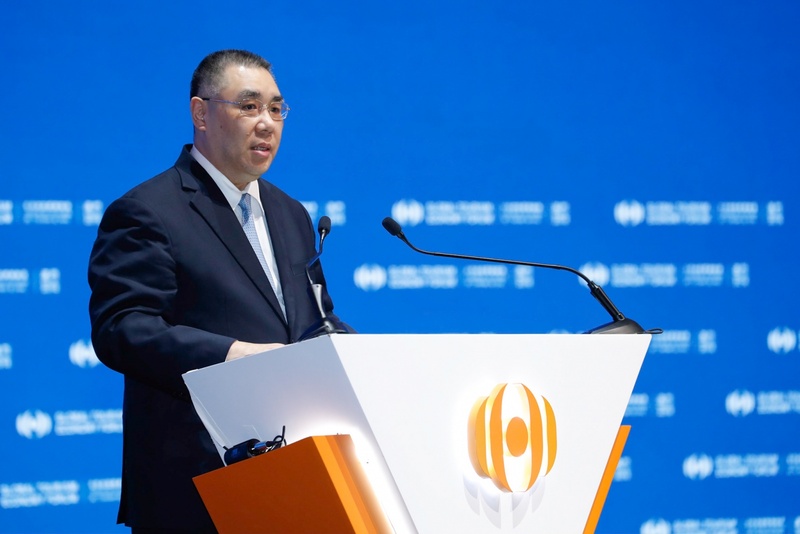 The opening ceremony of the 7th GTEF was officiated by distinguished guests including Chief Executive of the Macao Special Administrative Region, Chui Sai On; Vice Chairman of the National Committee of the Chinese People's Political Consultative Conference and Forum Chairman of GTEF, Ho Hau Wah; Vice Chairman of the National Committee of the Chinese People’s Political Consultative Conference, Chairman of All-China Federation of Industry and Commerce (ACFIC) and Honorary Chairman of GTEF, Gao Yunlong; Secretary-General of the World Tourism Organization (UNWTO), Zurab Pololikashvili; Deputy Director of the Liaison Office of the Central People's Government in the Macao Special Administrative Region, Zhang Rongshun; Commissioner of the Office of the Commissioner of the Ministry of Foreign Affairs of the People's Republic of China in the Macao Special Administrative Region, Shen Peili; Member of the Ministry Leadership of the Ministry of Culture and Tourism of the People's Republic of China, Yu Qun; Vice Governor of Guangdong Province, Xu Ruisheng; Head of the European Union Office to Hong Kong and Macao, Carmen Cano De Lasala; Executive Director of the World Tourism Organization (UNWTO), Zhu Shanzhong; Secretary General of International Mountain Tourism Alliance, Former Deputy Director of the Overseas Chinese Affairs Office of the State Council, Former Vice Minister of the Ministry of Foreign Affairs of the People’s Republic of China, He Yafei; Director General for Tourism and Regional Policy, Federal Ministry for Sustainability and Tourism of Austria, Ulrike Rauch-Keschmann; Vice Minister for Economic Development of Ministry of Economic Affairs and Communications of Estonia, Viljar Lubi; Secretary of State of Tourism of Portugal, Ana Mendes Godinho; Secretary for Social Affairs and Culture of the Macao SAR Government and Executive Chairman of GTEF, Alexis Tam; Vice Chairman and Secretary‐General of GTEF, Pansy Ho; Regional Director for Asia and the Pacific of UNWTO, Xu Jing, among other personages.